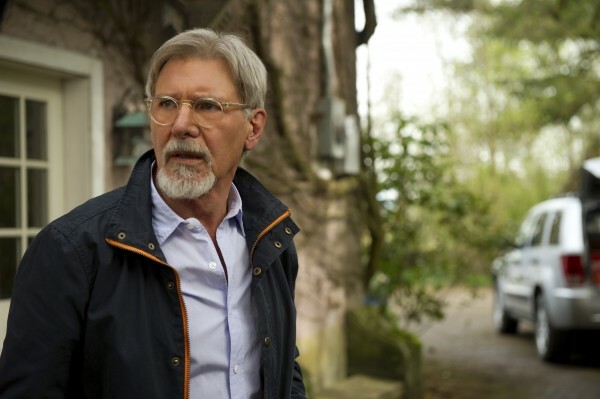 The Age of Adaline, aptly titled, takes an age to get through as narrated details couple with worrisome looks down long hallways and winsomely whispered lines. It feels like a feature-length Chanel ad. Tall blonde in beaded gown or period attire eludes the handsome stranger and potential danger. Potential danger never really materializes. And handsome stranger becomes boyfriend. Forgive me if I feel the need for a deeper plot line than…will she reveal the truth that she is stuck being beautiful for life? Waa waa waaaaaa. Narration ala Book Thief or 500 days of Summer sets us up for action, leads us to believe that something will happen to her, but it doesn’t. She cuts her hand in a flashback… That’s something, I guess. Sadly, the presence of narration does not make up for the absence of characterization. Neither does a brilliant performance by Harrison Ford make up for the pulse-less lackluster dream-voiced Blake Lively. I don’t know who she studied for her character development, but almost all of the elderly women I’ve met, yes often thoughtful and demure, still get more interesting with age, more unique, less apologetic for their quirks. This character was more like Kristen Stewart’s Bella on Prozac. With the illusive “THEM” on her tail, she relocates and redefines every decade with a new hairstyle and name. This minimal transformation does the trick for threat level minimum. For a girl who “can’t deal with change,” she doesn’t seem to mind being constantly on the move. She has some Groundhog Day moments when we realize that she’s used her time learning languages and escape techniques. She can read braille and kill at Trivial Pursuit. Aye, the rub. Game theory on point: her life is a trivial pursuit until she can learn to love and truly live. It’s essentially another “About Time” without the quirk and great accents. The plot puzzle never quite takes shape. The most emotion they squeezed from actors and audience alike came in small whimpers from both when she finds out she has to put her dog down. The rule of thumb with a less-than-likable hero: give him or her a pet that they can be nice to. (See Blake Snyder’s Save the Cat). The one stroke of genius by the filmmakers was in casting veritable newly Anthony Ingruber as the young Harrison Ford’s character. His vocals and facial expressions were so spot on that I heard a girl near me in the theater ask if he was actually Harrison Ford in CG. Hoorah for sentimental journeys…if they lead us somewhere. Anywhere. But this was pointless. Beautiful but blank. Adeline and her love interest have this in common. They know nothing about each other, just the simple sexual impulse and likability of a first date. Hard to root for that love to last, especially for as long as she has. She also had far more chemistry with the contractor who relayed a message for her on the telephone and with Harrison Ford for that matter. So many wonder what they would do with an eternity, with immortality. With her Holy Grail, she chooses to switch librarian jobs around the city for three lifetimes, an age. Spare yourself her exhaustive self-searching. There must be something new on Netflix. But if you must go, watch for Harrison Ford’s toast at the party. His performance was at least worth the price of the ticket. Reblogged this on Dunk Amplified. I enjoyed your take on this movie. Made me debate whether to see it. I recently watched this and I am glad I didn’t go to the cinema. 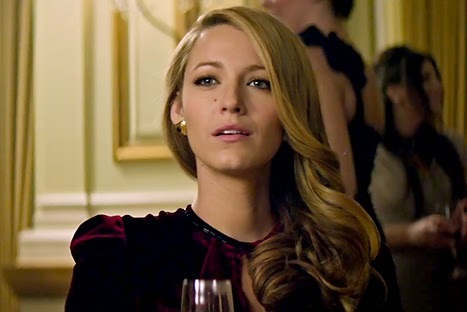 Substance and plot is neglected for beautiful slow motion images of Blake Lively, her handsome suitors and San Francisco. I agree that Harrison Ford was the best part of it. Great review by Splattter on Film! Great review, reblogged on A Cinepicurean’s Confessions!